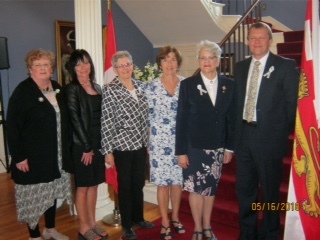 Prince Edward Island was responsible for two very special May Awareness events. 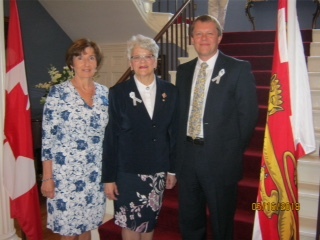 On May 16, 2018 the Lieutenant Governor of PEI hosted an information session at Government House in Charlottetown. Here is the official program. Please note especially the poem written for the event by Rita Stanley. On May 24, 2018 the Speaker of the Canadian Senate introduced Lydia Neilson, William Parlor and Margaret Parlor. 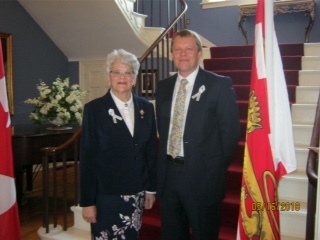 Senator Diane Griffin from PEI then rose to make a statement recognizing ME/CFS and FM.